Our Westchester County Pest Control Exterminator will identify the source of the pest infestation and create a customized treatment plan to eliminate the pests. Let us be your Westchester Exterminator, Give Us A Call Today. 1-844-305-8999. Bed Bugs can be hard to find. They are extremely small, so you may not notice you have a Bed Bug Infestation, but there are other ways to tell that they are around. If you have itchy skin and there’s no explanation for it, it may be because Bed Bugs have been feasting on you or your family members at night. Bed Bugs are notorious for taking up residence in your luggage or your purse. You carry them into your home without even knowing that they are there. Brown marmorated stink bugs are an trying species from Asia that arrived in PA in 1996. The stink bug earned its name from the way it releases an odor when disturbed or when crushed. Many other insects have these same characteristics, which include some species of ants, beetles and other bugs. 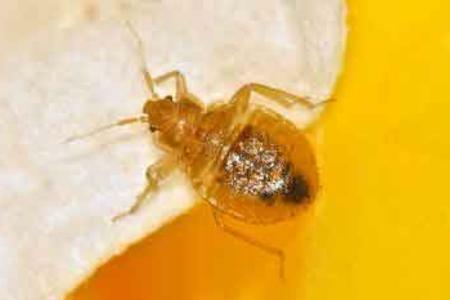 Besides being an agricultural pest, the brown marmorated stink bug is often a pest in homes. Specifically in late summer, the adult bugs gather on homes. The bugs are seeking sheltered places to spend the winter. Skunks are mammals known for their ability to spray a liquid with a strong unpleasant smell. If skunks have taken up residence on your property you will notice your lawn or flower bed has lots of holes in it, you may have a skunk problem. Skunks dig up the turf looking for grubs. They move around at night and dig in grassy areas, making distinct 3– to 4–inch deep holes. Skunks, if startled or cornered will defend themselves. Their first attempt to defend themselves will be by hissing or by stomping their feet. Raising their bushy black and white tail is another way of sending a message to stay clear.